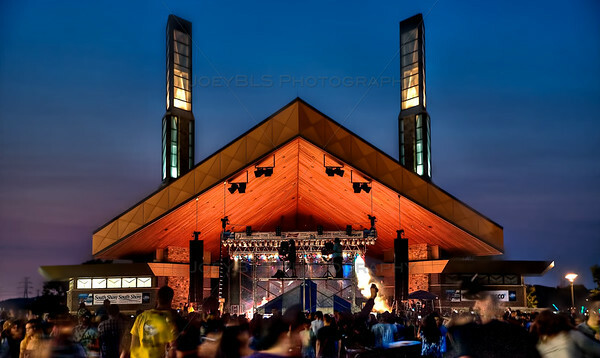 The PAV at Wolf Lake in Hammond, Indiana is one of the newest music venues in Northwest Indiana located on Wolf Lake in Hammond near Lake Michigan. Just minutes from Chicago, the PAV (short for Pavilion) has already drawn many A-list acts and continues to do so year after year. The PAV at Wolf Lake in Hammond, Indiana by Joey B. Lax-Salinas is licensed under a Creative Commons Attribution-NonCommercial-NoDerivs 3.0 Unported License. Permissions beyond the scope of this license may be available at http://www.joeyblsphotography.com.